With these measures, it hopes “to be able to fund its existing operations and reduce debt.” Shareholders and bondholders were aghast. The shares, traded in Frankfurt and held widely by international investors, had still been in the €5-range in June. But in August, German prosecutors said they were probing if Steinhoff had booked inflated revenues at its subsidiaries. Shares began to drop. By Tuesday, there were down 41% at €2.95. On Wednesday, after the “accounting irregularities” had “come to light,” shares crashed 64% to €1.07. By Friday, they’d dropped to €0.47. Market capitalization plunged by about €18 billion ($21 billion) since June to €2 billion. Given that allegations of accounting irregularities were raised and rebutted in August 2017 and again in November 2017 it calls into question the quality of oversight and governance at Steinhoff. Moody’s 4-notch downgrade with more downgrades likely shows once again how credit ratings are lagging indicators that merely give investors confirmation of what the plunge in price has already shown in gruesome detail. Last year, [Wiese] the billionaire and largest shareholder of the company pledged 628 million of Steinhoff’s shares in collateral to borrow money from Citigroup, HSBC, Goldman Sachs Group Inc. and Nomura Holdings Inc. That was to participate in a share sale in conjunction with the acquisition of Mattress Firm and Poundland, according to a company statement. The value of those pledge shares has plunged to €301 million, from about €3 billion a year ago. “The disclosures have also turned a fresh spotlight on a set of transactions involving related entities that critics say may have hid operational losses and artificially pumped up the company’s valuation,” according to The Wall Street Journal. This week, analysts scrambled to make sense of some of the transactions, parts of which are publicly disclosed. In the past, some transactions had triggered specific concern by analysts. Despite those questions and the German probe, investors had largely been satisfied with Steinhoff’s public explanations – until now. In one widely circulated research report published anonymously Tuesday, a group calling itself Viceroy Research accused Steinhoff of using companies owned by some of its former executives and other close associates to hive off unprofitable assets. Those disposals, Viceroy alleges, were often financed by loans from Steinhoff, the interest from which Steinhoff booked as revenue. Viceroy said some of these transactions involved Campion Capital SA, a Swiss private-equity firm. Campion directors include Siegmar Schmidt, a former finance chief at one of Steinhoff’s subsidiaries, according to public records and other documents reviewed by The Wall Street Journal. In 2015, Steinhoff Möbel, a Steinhoff subsidiary, entered into a joint venture with a company owned by Campion, according to these records. The joint venture then bought a company called GT Global Trademarks from Steinhoff. The following year, Campion bought two consumer-loan units from South Africa-based Steinhoff Africa Holdings, a Steinhoff International subsidiary. It then sold parts of those firms seven months later to Pepkor, a South African retailer owned by Steinhoff’s Johannesburg-listed subsidiary, according to a determination by the South African Competition Commission in October of that year. The terms of both transactions are unclear. In Steinhoff’s third-quarter earnings call in August, a credit analyst from HSBC asked then-Chief Executive Markus Jooste why the company was taking on debt and entering into complex partnerships even though its balance sheet showed it had plenty of cash. Mr. Jooste answered that the joint ventures “had nothing to do with liquidity or monetary terms” and that it just wanted to have local partners who understood how to grow its business. Reuters reported in November that Steinhoff “did not tell investors about almost $1 billion in transactions with a related company despite laws that some experts believe require it to do so.” Short-seller Viceroy Capital, mentioned above, has alleged that Steinhoff used such related-party transactions to channel losses off its financial statements. Steinhoff’s roll-up strategy made it practically impossible for investors – even those tempted to try – to establish underlying cash flows, revenue growth, and earnings. But these schemes cannot be carried on forever. A huge component of this “off balance sheet” shell game comes to an end in 2019 when FASB finally requires the current total of $1T (trillion) in operating leases to be included in the balance sheet (for the uninitiated, that’s a lot of undisclosed debt). I’m not current enough in this area to know what non-USA accounting practice is. Other off-balance sheet accounting dodges are partnerships and joint ventures; again I’m unclear on what (if any) accounting changes are in store. This is an example of what was a fairly immaterial loophole that has been stretched beyond all recognition into a toxic monster. Other than campaign contributions, there’s really no justification for the existence of this monster. You would need an agency the was both competent and willing to enforce regulations (that were hopefully carefully crafted in the first place). Not to mention an electorate with knowledge and integrity. Exactly – enforcement is the missing item. More laws, regulations and so forth at this point just make legislators (and the public) feel good. One of the main issues in the past 20+ years that has caused all the chaos in markets is the lack of enforcement of relatively simple laws. This takes effort and backbone, which most government executives (read bureaucrats) no longer possess. Many (most?) have been “captured” by future promise of financial gain- either their fat government retirement packages, or future employment in the sector they are regulating. As Neville Chamberlain found out with the Treaty of Munich, a “scrap of paper” is meaningless without enforcement. That said, the deregulation craze sweeping the country means that this story will be repeated in many different ways and in many different forms. If there’s a rule in place, but it is not enforced, is there a rule? He didn’t know this before Munich? He was already PM of England by that time. I’m guessing he already knew it. I’m confident they’ve already worked out the detail of how losses will be socialized. That is, the horse always goes in front of the cart. I’ve got 2 Mattress Firm outlets within a mile of each other. I live in a town of 50k. Don’t know anyone who has shopped there. About 3 years ago I told friends and family it had the classic feel of a private equity pump and dump – build the franchise count with cheap banker funding, then find the greater fool to buy the crap. I guess Stienhoff was that fool in 2015. There’s never one roach. If not Steinhoff, it’ll be some other fraud to bring down GS et al. The bankers are already bankrupt anyway, but FASB has sanctioned extend and pretend…financial repression. Every time I watch TV, I see 2 or 3 mattress commercials in a 30 minute program. I have been wondering about this for a while. I am not saying the demand for mattresses doesn’t support the advertising. I don’t know. If anyone has a better handle on this subject, please enlighten me. It could be these were cheaper spots or freebie make up adverts, or the timeslot was deemed to be good for those seeking a better nights sleep. Mattresses and other bed furnitures are one of the retail businesses with biggest margins (read on though): 40% profit is standard on the low end of the scale and you can easily get into triple digit with “premium” models. Mattresses are dirt cheap to manufacture and transport. They are non-perishable and do not go out of fashion so they can be simply bought in bulk at a favorable time, stored in a central location and then distributed. To this it must be added traditional TV is not doing so well and ad time pricing has been slowly but steadily dropping, especially outside ultra prime territory such as wildly popular sports events. In short the firm selling mattresses on TV has very high profits and steadily decreasing costs, meaning they can well afford to sell one or two mattresses a week to stay in business. Big outfits such as Ikea sell mattresses at considerably lower prices than tradition vendors for the simple reason they are geared towards a low profit model: Ikea can well afford making 5% or even less on a standard mattress because their whole business is geared toward such low margins and if mattresses become unprofitable they can just stop selling them without ill consequences. You wrote”…40% profit is standard on the low end of the scale and you can easily get into triple digit with “premium” models…”. You can’r get a profit margin above 100%; what did you mean to say? (I’d be interested to know what the hi-end profit margin is). A mattress retailing for over US$1,000 has cost no more than $100 to manufacture in the US, and that’s including everything. The retailer himself pays the mattress to a regional distributor no more than $300, including having it shipped to his warehouse. Major manufacturers such as Pikolin and Serta tend to manufacture near where they sell, thus cutting shipping costs and often import duties: to give an example Pikolin manufactures products for the South Asian and Middle Eastern markets in Vietnam, while those earmarked for the Chinese, Central Asian and Russian markets are made in China. Many smaller brands are actually nothing more than rebranded Pikolin, Serta, Simmons etc, if the big group doesn’t own the brand outright. Just to give an example Pikolin manufactures the mattresses sold under the Dunlopillo, Swissflex, Lady América, Epeda, Merinos and many other names. 23 years ago I built a bed out of white oak. It has no metal fasteners, whatsover, and fits together with sliding dovetails. It took forty hours of shop time to finish the project. To suit I decided to buy a new mattress for it. After 23 years of use the mattress is still beyond comfortable. I inherited some family furniture with 60? year old mattresses, and we simply bought new covers for them. We are the third family to own this fine furniture. It is definitely not from the Phillipines as most supposedly high end stuff is in today’s market. When I drive to town I see there are now 3 very large furniture stores. Their parking lots are usually empty. Peak stuff means peak stuff. Furniture stores are a financial black hole, imho. comfy adverts and nice handles. Only bankrupcy’s can cure the problem of excess fiat. How was that Jingle… ” you lay down with a Steinhoff,you won’t get the fleas” ughh,never mind,what i need to know is: Lehman Bros invested in this? and is Jimmy Cramer recommending the stock? I have money ready to put to work! Jimmy wants you to invest in Tesla, @milking institute. Right now! And to think that this is how the political system–in conspiracy with banks and oligarchs–decided to keep the masses employed in lieu of real economic growth. My money, your money, everyones money comes from this monstrous crime. About ‘Mattress Firm’ here in the suburbs of Maryland – assumed Tony Soprano owned it. Plenty of of these huge no-customer stores nearby, one of many. There are other stores with customers who buy, but only for very small sales, eg I wonder how many vitamins a 7000 square foot health store needs to sell to pay the bills ? While the margins on vitamins and other “nutrional supplements” are not as obscenely high as that on bedroom furniture and accessories they are still obscenely high as far as the food industry goes: the average profit is 30% and you will hear the whole industry wail like a banshee if for whatever reason profits for a single product line fall under 20%. These big no-customers stores all have a thing in common: everything they sell carries a massive markup when compared to industry standards. They are often housed in places landlords struggle to fill and hence pay far lower rents than one would imagine and since foot traffic tends to be on the low end of the scale, they haven’t got high personnel costs as they can be staffed by less than a skeleton crew. I haven’t seen many of these places stay in business for long: I take they exist either in hope of finding a “greater fool” to buy them down the road or merely for short term financial/fiscal reasons. As Tony Soprano undoubtedly knows very well, a money losing retail store is one of the best ways to clean dirty money, especially if one isn’t too squeamish about what he sells. Ouch that will hurt some of the banks earnings figures quarter 4. We’ve seen Steinhoff with their 21 billion dollars of debt, Toys Were Us aren’t great they’ve got 5 billion dollars of debt. Is this the tip of the iceberg Wolf?, I presume there are a load of big companies with big debts who are currently struggling, the banks must be getting tetchy. Steinhoff has a colorful history. They were one of the many groups that sprung up during the 60’s to outsource manufacturing in Eastern Europe. If I remember correctly they had furniture manufactured in Poland and Bulgaria. With the end of the Cold War Steinhoff shifted operations to South Africa to take advantage of what mainstream media would call “favorable economic conditions” and in 1998 moved from their old headquarters in Westerstede, Germany, to Stellenbosch, South Africa. The company also started to shift imperceptably at first but very fast later towards the retail end of business, which went into overdrive starting in 2005. Steinhoff has been able to secure huge loans from banks all over the world, which they used to finance a buying spree which has stretched from the United States to New Zealand. And here’s the funny part: Steinhoff has long concentrated on the low end of the retail business, which is well known to be both low margins and a cutthroat market. Just to give an example among their most recent acquisition is UK based chain Poundland, which is more or less the equivalent of US outfits such as Dollar General. Poundland tried to swallow competitor 99p Stores in 2015, which left them in a very precarious financial situation. At the end of 2016 Steinhoff swooped in and bought Poundland for GBP610 million, big money for a group with just GBP55 million in revenues, little tangible assets and deep in the red (Poundland is rumored to have closed the 2016 fiscal year with over GBP12 million in losses). This purchase was partly financed by bonds but mostly through direct financing from HSBC and Nomura, to which Stenhoff posted several millions of their own stocks as collaterals. What interest Stenhoff agreed to pay on that loan, I am not privy of but I hope it’s high to reflect what was all, to all purposes, a junk rated deal. Steinhoff has long been able to show impressive profits despite their focus on a cutthroat market. A while back I made a mistake of buying an office chair from Conforama, a Steinhoff company. Yes, I am a follower of Sam Walton’s cost cutting philosophy. It looked great and felt comfortable while new but in an under a year I threw it away because it was literally falling to pieces, so I bit the bullet and bough an Ikea office chair. It may not look so impressive but it’s in another world as far as engineering and materials are concerned. Both chairs were the exact same price, so I can definitely understand Steinhoff made more money than Ikea on it, but enough to justify their profits? German regulators must have found it curious as well: sure, you can make money at the bottom end of the market, but not as fast and as much as Steinhoff has been doing, especially with Steinhoff’s debt loads and these days, when retail is starting to be overbuilt in most of the world: just remember all of the top ten largest shopping malls in the world are not located in the US or Europe, but in Asia, and that online shopping is a bigger reality in China and Germany than it is in the US. The “brick and mortar retail” meltdown is just starting worldwide, and as soon as somebody will crack how to effectively sell groceries on the Net the real fireworks will start. Thanks for this interesting post, MC01. That historical information pads out our understanding of what Steinhoff are all about. When you mention Poundland, all one can think of is literally a cut throat business with a “pile ’em high, sell ’em cheap” philosophy. That industry is notorious for boom and bust stories, and given how property is under pressure entities like Poundland are bound to be under severe pressure regardless. It’s good you brought up what the BBC called “The Pound Shop War” as it appears to be coming to an interesting conclusion. Poundland’s main competitor, after their buyout of 99p Stores, is Poundworld, which has an interesting recent history. In 2014 it secured a large loan with Santander to largely expand operations but a little less than a year later Poundworld owners, the Edwards family, sold their majority stake (senior management apparently retained their minority stake) to TPG Capital, one of those PE firms specializing in LBO’s which make the round in depressingly regular fashion here on this website. Why TPG wanted to become involved in such cutthroat, low margin business as pound shops remains shrouded in mystery: it’s possible the Edwards family wanted out after four decades at the helm and that TPG had eyed the company due to relatively low debt loads, making an LBO particularly palatable. You hope the interest on the Steinhoff loan was high to reflect it’s junk status? Think again. As Wolf (and others) has so acutely cataloged, central banks have completely distorted the market-regulating mechanism of “price discovery.” Specifically, the ECB has been buying corporate bonds (yes – corporate bonds!!!!!!!!) so much that the yield on “high yield” bonds was lower than the “risk free” US treasuries. Meditate on that and let it sink in. We are waaaaaay past the event horizon. I bought a Serta office chair because I assumed they were still a premium brand. I was wrong. The chair fell apart in less than a year, they replace it, eventually. The new one won’t last the year either. The online reviews for all Serta products are not good. I’ve become adept at using superglue, Liquid Nails, non-slip mats, screws and nuts and bolts to make sure something I like doesn’t fall apart within a couple of months. Seems to be the price (ha ha) one has to pay when buying anything nowadays. Steinhoff sounds like a ready-made toxic waste dumping ground. Maybe they will let capitalism to do its work: destruction of the old crap and then create something new on the ashes of the old. Capitalism…yeah…remember that, from the good old days? The lack thereof and money printing created also a generation that has absolutely no idea. Or maybe I am just getting old. Socialism for banks, capitalism for the rest of us. No-one has really ‘had any idea’ since 1971 and the beginning of the credit expansion cycle – ever since that date, people have become well-used to being able to spend more than they can really afford, and consequently came to believe that ‘making stuff’ was no longer necessary, as some poor sap in some far-off place paid peanuts would supply them with endless cheap consumer goods, which they could buy on credit. Now that model’s a a ‘busted flush’, as there’s only so much debt that can be foisted onto folk – and the manufacturing capacity’s gone, never to return (until it’s forced by desperation, of course…). Hence the atrophy and slow death of the economy, bolstered only by stock buyback programs and ‘cash dispenser’ homes. Wolf, thanks for the interesting update. 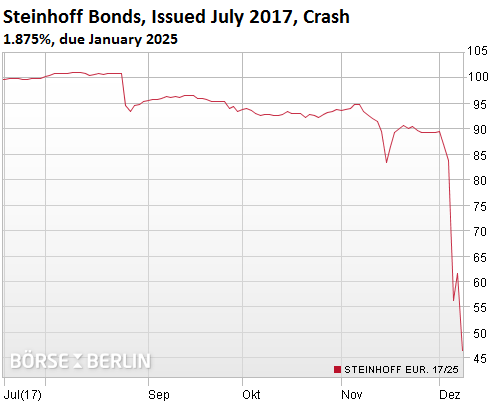 I wonder how many other “Steinhoff’s” do central banks hold bonds for? It’s impossible to know for sure what’s in that bag of bonds held by the world’s central banks: to stay on theme, the ECB’s holdings range from old fashioned SOE’s (Electricité de France, 85% owned by the French government) to highly profitable public companies (BMW), passing through more than a smattering of Reverse Yankees issued by the EU subsidiaries of US giants such as Deere, Caterpillar and Coca Cola. Some of those companies are obviously somewhat shady despite their investment grade rating: Strabag, an Austrian-based construction company whose bonds are held by the ECB, has been involved in price-fixing scandals and is mostly owned by Oleg Deripaska through his Cypriot trading companies. Novomatic, another Austrian-based company whose bonds are held by the ECB, mantains a very low public profile because they run casinos and lotteries around the world, activities sure to attract a lot of unwanted attention. But Steinhoff is different: their investment-grade rating, which allowed them to benefit from the ECB’s largesse, was apparently obtained by financial trickery of the unauthorized kind, a big no-go. Worse yet, they were caught in the act: as Mobutu Sese Seko once remarked, if you get too greedy and get rich overnight, you’ll be caught. — The Fed doesn’t buy corporate bonds or stocks. It discloses on its website the securities it holds and their maturity schedule. — The Bank of Japan buys bonds, equity ETFs, J-REITs, and all kinds of things, but I have not yet found a detailed list of what it holds. 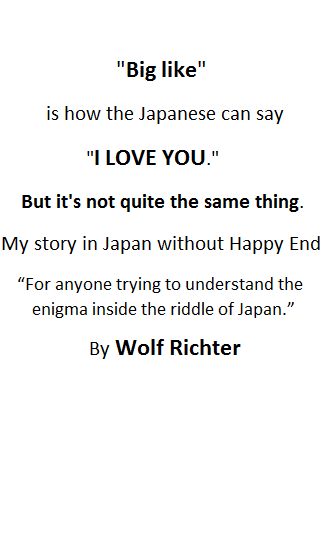 This may be due to the fact that I have to search its bi-lingual website in English, and some of the stuff may only be available on its Japanese-only pages. So I don’t know. If one of our readers can find the detailed data (bonds by company name, etc. ), please let me know where to look. I have not even tried to dig into other central banks’ holdings. The Banque nationale suisse (BNS) does not publish a detailed breakdown of their holdings: you won’t find them saying “at this date we held X Apple shares and Y US Treasuries”. Scroll down to paragraph 5.3 for what little data the BNS deigns giving the public. I found especially telling how opaque the portfolios are: “a little over four years” (average bond duration), “about 6500 titles” (number of shares they are invested in) and so on. When you hear the BNS is the Cantons’ hedge fund moonlightning as a central bank, you hearing nothing but the truth. That graphic is compiled using SEC, not BNS, data. These are the same data posted in the SEC link above. As you may notice these are all NYSE traded stocks: there are no data from stocks traded in Zurich, Frankfurt, London and other markets where the BNS is very active. Wolf : thanks for taking the time to answer my points. If crypto means hidden and secretive, surely Swiss have been running their own crypto for 80 years. These stocks (SNB/ICO) have been on a parabolic trajectory. Why do we need “some experts” to tell us about laws? Either the law requires disclosure or it doesn’t. And if it’s too muddy to tell, it de facto doesn’t for deep pocketed defendants. As usual, we get perfunctory reporting from Reuters. A business/financial reporter’s job is to get to the bottom of cause-and-effect. Are the laws riddled with vagueness and loopholes? Or did Steinhoff clearly break the law? Apparently, it doesn’t matter, because unnamed experts aren’t sure of themselves. My takeaway: if we’re not really sure of legality, we can be sure the insiders will take full advantage of our un-sureness, and lie with impunity on their balance sheets. We must also assume every other conglomerate must play similar games just to stay in the game, let alone “win” it. The 7-11 store in our town has just shut down. This is a surprise, since it sits on the corner of the intersection, of the two main roads. The prime location in this town of 14,000 population. It has been at this location since opening over 40 years ago. Have they miscalculated their globally aggressive expansion policy? Are they to be the next Steinhoff International Holdings? These capitalists generally act harmoniously and in concert to fleece the people, and now that they have got into a quarrel with themselves, we are called upon to appropriate the people’s money to settle the quarrel. Just plunder the poor and middle class a bit more and things will be back to normal in no time. So it’s not a problem. In his wonderful short book ‘The Great Crash of 1929’, John Galbraith wonders what triggered it. Not the underlying causes, he covers those in other chapters. The causes are not psychological but the triggers are. He wonders if it could have been the collapse of the Hatry enterprise in the UK, or possibly the refusal of regulators to let a US power company split its shares, adding they thought the shares were overpriced. Both were tiny events compared to the carnage about to follow within a few weeks but so is the tiny pin that punctures a balloon. from on to off, and it will happen just that fast. Bitcoin has gone parabolic. The chart looks a lot like the tulip bulb chart, or the 1920’s Florida land chart. When the rise is parabolic, without exception the idea is to resell for a profit. But at some point the last fools can’t find bigger fools and must bail out. Then the question for all holders becomes: why would I own this if it pays no interest or dividend and I don’t think it will be more valuable, but may soon be less valuable? A soft landing from a parabolic run- up is impossible. The profile and valuation of BC is high enough that a 90 % collapse may switch investor risk appetite from on to off, 180 degrees. precipitating a flight from ALL risk assets, with Tesla being a prime candidate. Tesla is a similar religion, but as far as the Model 3 is concerned, the ship has sailed. There are at least five competitors: Leaf, Bolt, etc. that have one great advantage over Tesla: they know how to mass- produce budget or mid-range cars and Tesla doesn’t. And they are doing it while Tesla talks about doing it. When Bitcoin crashes, if it causes a sea change in psychology, these high flyers are going to be asked: what is your profit NOW? Bitcoin may be the fuse leading to a stockpile of bombs. Bitcoin is emblematic of what a scam all asset bubbles have become, thanks to the Fed and central banks. Incidentally, last time I checked, Bitcoin was dropping faster than Bristol Palin’s prom dress. Above $15K, last time I checked. Hm. Maybe. One wonders how much real money is invested in Bitcoin and how much of the price is driven by bots chasing each others tails. Since Bitcoin it neither a security nor a currency, one cannot easily borrow with Bitcoin as collateral so there is not likely to be any margin calls and forced selling feeding into a crash. But, who knows? Maybe in China it is possible or maybe the coin miners are all borrowed money? Good point. I wanted to debate with the guy who said cuz valuation was 250 B, 250 B must have come out of stocks or…? As you point out, we have no idea how much $ has gone into BC. All we have is the price quote. But when the party gets this weird, walk. Moody’s came out of its coma to downgrade someone? Astonishing. The regulators and enforcers are still as captured and complicit as ever, though. Bad debt never goes away. It just gets transferred to the public ledger or is printed away by central bankers. Quite remarkable that respective authorities are still cool and quiet to the on-goings. The continue and fast climb of the DOW, S&P and NASDAQ. the unaccountable figures of social media and ecommerce companies promising huge profits, the electrifying car business, now Steinhoff and the over-publicised state-of-the-art hot bit of air call Bitcoin. Then down under the 4 big banks there are mired in liar loans where 65% of their total assets are home mortgages. China much reported HNA overflow borrowings and Deusche Bank assets in question and what other surprises to come. Then the ex British colony of HK where the small cap stocks manipulators that romped the HKEXchange some 6 months ago are now called to question. many countries including the US is the SWF one mdb where billions just vanished.